The thirty-ninth anniversary of the toughest competition in the world, 2017 Dakar, is a thing of the past. The marathon desert rally through three countries of Northwest Africa has finished its ninth run in Dakar, the capital of Senegal. The crews and escorts arrived at the finish in Buenos Aires and almost immediately began to prepare for next year. The mountain stages in the second half of this year's Dakar significantly stirred up the rankings. It was heavily affected by the weather, which forced organizers to shorten or even cancel several stages. Indeed, a lower number of racing kilometres suited virtually no one, but even this complication was all the same to everyone. The cancelled sixth stage from Oruro to the Bolivian city of La Paz meant an extra "rest" day. As a result, most of the field was able to perform in-depth service and necessary repairs to their special racing trucks to prepare them for the second half of the race. The TATRA Buggyra Racing Team was no exception. Our mechanics worked hard on both racing TATRA PHOENIX specials. As regards the basic chassis concept, based on the TATRA PHOENIX series of trucks, our sports specials were at the very top of the starting field. A victory in the stage, incidentally the first one ever for the TATRA PHOENIX special sports truck, and great standings in the first quarter of the race are evidence of this. Despite technical problems, overwhelmingly attributable to the purchased special racing parts, both pilots of the factory-supported team, Martin Kolomý and Ales Loprais, were able not only to keep up with the best, but also to beat them. The seventh and eighth stages from La Paz to Uyuni and to the city of Salta were originally intended as marathon ones. However, both of these speed tests were considerably shortened by the organizers in the end. Martin Kolomý achieved eleventh time to Uyuni, although he helped Aleš Loprais out of a mud trap on the track. Aleš Loprais in turn gained his confidence back in his PHOENIX G2 after a series of problems with the servo-pump. In the overall standings the two crews improved their positions by climbing to 12th – Kolomý, and 13th – Loprais. The shortened eighth stage was managed better by Ales Loprais (12th place). Martin Kolomý was stuck for a few minutes in the treacherous terrain, but his 15th stage position meant a shift to the coveted top ten of the overall classification (9th place). Ales Loprais' crew has figured into his current twelfth place position overall. Heavy rain, a waterlogged terrain and especially very dangerous mudslides were the reason for cancelling the ninth stage to Cilecita. Both the crews themselves and particularly the accompanying vehicles really had a lot to do to make a detour to get to the original destination for the start of the tenth stage. Ales Loprais will have great memories of the stage from Cilecita to San Juan, as he covered it with his PHOENIX G2 special in the fifth fastest time, which moved him into tenth position in the overall standings. On the contrary, Martin Kolomy's crew faced technical problems with the Buggyra Gyrtech engine cooling system that cost them almost four hours of repair time on the road, and nearly deprived them of all hope to finish in the top 10, dropping to sixteenth position of the overall classification. The last, long 11th stage, in which something could have changed in terms of the final classification, ended up better for Ales Loprais. Despite health problems, he managed to bring his PHOENIX G2 to seventh position and he climbed up to the same place in the overall standings. Martin Kolomý and his crew had to once again face technical problems and repair their PHOENIX G3 special on the track. Thirteenth place still meant a shift in the standings to fifteenth position in the category. 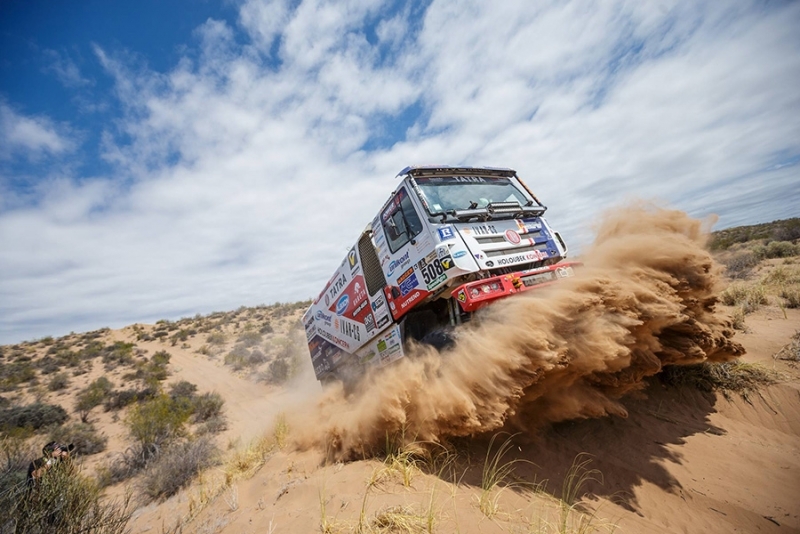 The last, twelfth stage to Buenos Aires with a short sixty-four kilometre speed test (Kolomý – 13th, Loprais – 14th) has not changed anything in the final ranking of the TATRA PHOENIX trucks. Having come in seventh place in the final classification of the "Trucks" category, the crew of Ales Loprais, Jan Tomanek and Jiri Stross became the most successful Czech crew of the 2017 Dakar rally. Martin Kolomý, René Kilian and David Kilian finished the race in fifteenth place. Loprais' seventh position, Kolomy's stage victory and interim leading position in the race –these are historically the greatest achievements of the TATRA PHOENIX racing specials. The third sports TATRA truck at 2017 Dakar, JAMAL BDP with the crew of Albert Llovera, Charly Gotlib and Jaroslav Martinec of the Bonver Dakar Project team, coped with the whole race decently. The crew struggled with the rigors of the terrain and weather in the third tenth of the overall classification. At the finish in Buenos Aires, they occupied 24th place in the category of 40 classified trucks. Above all, Albert Llovera defended his last year's performance by being the only pilot to complete the entire rally exclusively with manual control of his truck. For the second time he has proved that he can confidently compete with all others. Considerable credit for this great sporting performance goes to the "Tatra chassis design" concept. 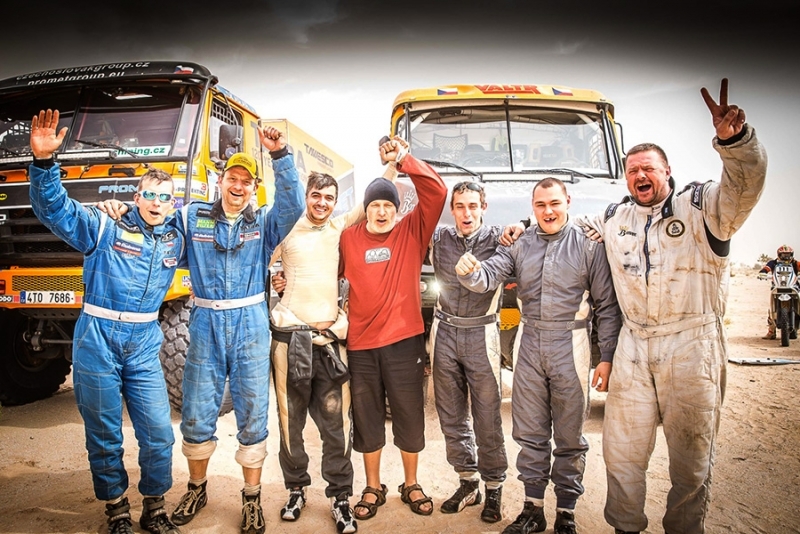 All pilots and crew members of TATRA trucks agreed about the uniqueness of the Tatra chassis design, which provides an excellent basis for highly competitive racing specials. The accompanying TATRA vehicles of the TATRA PHOENIX commercial range, including variants with Euro VI engines, have shown, unlike other vehicle brands, consistently high performance by mastering the pitfalls of the terrain, extreme weather conditions and the organizers themselves without any problems. 2017 Dakar is dead, long live 2018 Dakar! The marathon desert rally through three countries of Northwest Africa has finished its ninth run in Dakar, the capital of Senegal. The last, twelfth stage with a very short timed section made an end to this year's race. 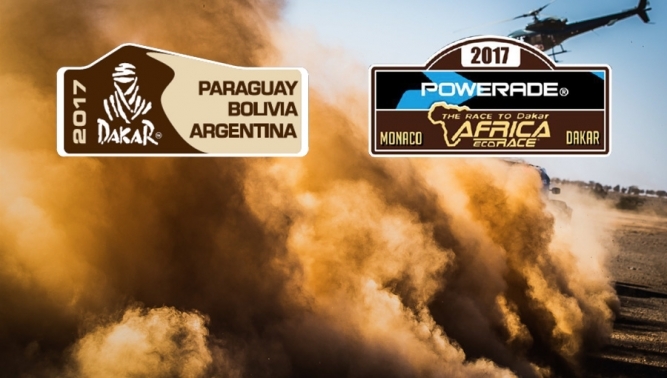 The Africa Eco Race cannot boast such a numerous starting field as the South American Dakar, but certainly rivals it in terms of terrain and navigational difficulty. To our great joy, the TATRA racing specials and accompanying vehicles have also played significant roles this year in various stages, as well as in the final standings. 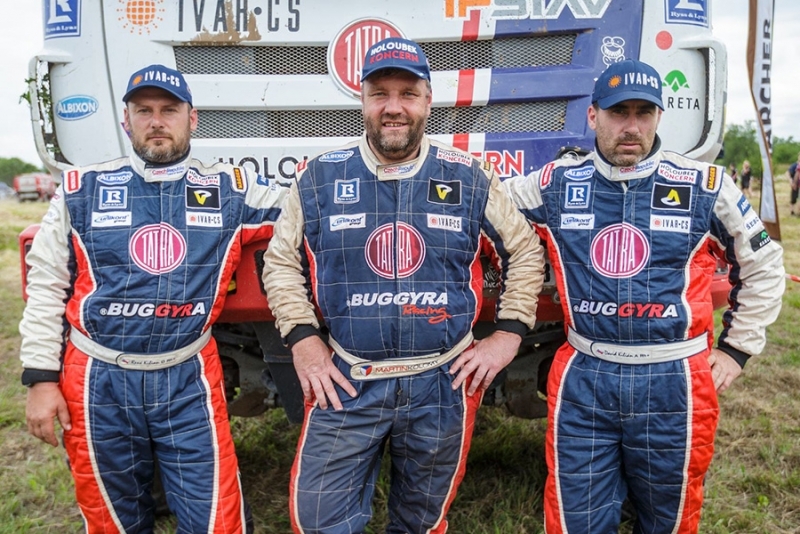 After a rest day spent by the entire Africa Eco Race circus in Dhakl, Jaroslav Valtr began to “officiate” with a special truck TATRA JAMAL BDP (Bonver Dakar Project). On the track around Tiwillit he added the first stage victory to the previous five podium positions (4 x 3rd place and one second place). With a Tatra 815 special racing truck with a Tatra engine and gearbox, Tomas Tomeček took second place. Thus, the Tatra brand recorded the first stage "double" (1st and 2nd positions) in the history of the AER race. The eighth stage from Tiwillit to Azougui at first offered a fast section, then a dune field, and again a sprint to the finish. Jaroslav Valtr took third place and Tomas Tomeček fourth. The ninth stage to Akjoujt was finally marked by larger dunes. 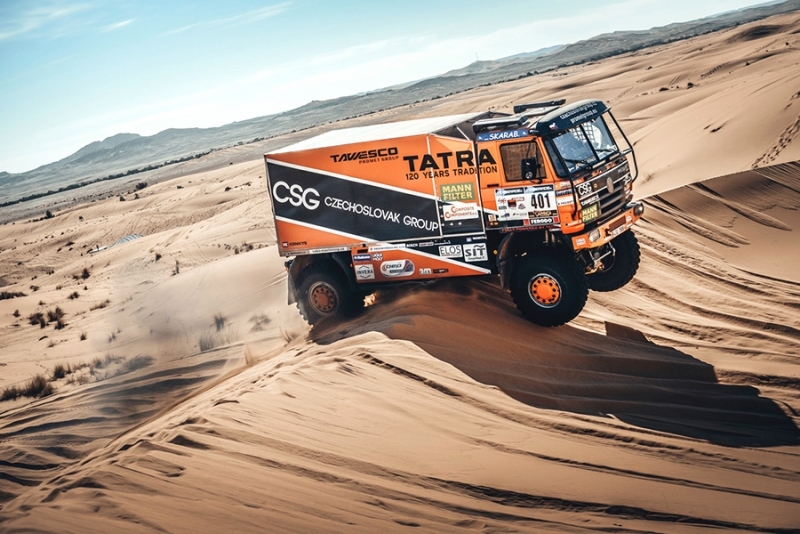 The African sandy terrain is really the best for Tatra trucks. Jaroslav Valtr performed well again and showed that he has what it takes to be at the front of the field. Tomáš Tomeček supplemented his other stage victory with a flawless second place – another 1 + 2 result! 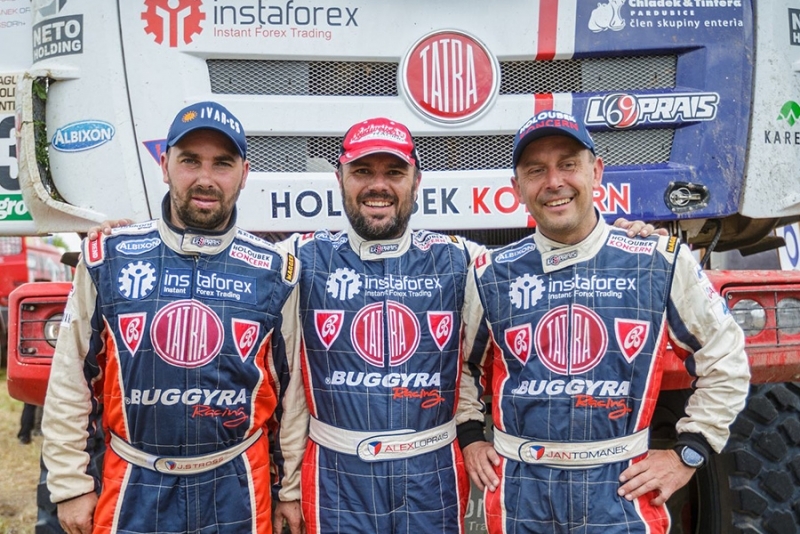 In the tenth stage around Akjoujt, Tomeček leapt to first place with a 100% Tatra, and Jaroslav Valtr secured another excellent result, his third, for the TATRA brand – 1st and 2nd place, from the second stage position. The last long stage, where the final classification could still be decided, was the eleventh one to Saint Louis. Perhaps to make sure the competition never forgot it, the drivers with our TATRA vehicles were once again the best out there. For the fourth time, they won the first two podium positions. Jaroslav Valtr was the luckier of the two again. The last stage of the AER race is a bit of a "waving" one, but there is still a small timed section, about 20 km. Jaroslav Valtr's second place and Tomas Tomeček's fifth place only underscored their silver and bronze medals in the final classification. 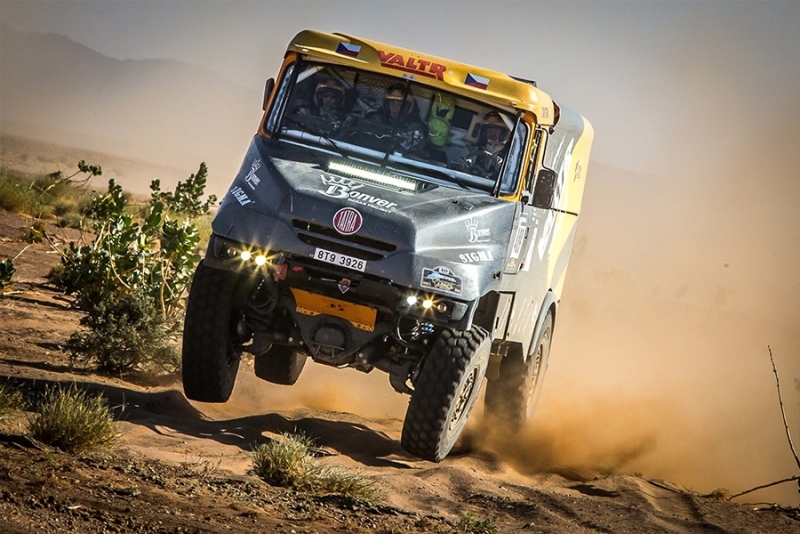 The TATRA trucks in Africa again proved that racing in one of the toughest terrains in the world more than suits them. Their predominance on the final podium in the truck category was more than a little noticeable. In addition, the engagement and reliability of the accompanying trucks and so-called "balai" trucks of TATRA should also be highlighted. Our brand has again left an excellent impression in the African sands this year. Great stage victories and a very good position in the final classification, all this is a worthy contribution to 2017, the year TATRA TRUCKS celebrates the 120th anniversary of the production of its first combustion-powered vehicle. After all, like everyone else we could see a reminder of this famous occasion depicted on the side plate of the Tatra 815 special racing truck of Tomáš Tomeček's and Ladislav Lála's teams of PROMET/CZECHOSLOVAK Group.